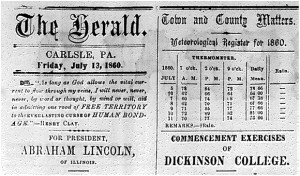 After the Republican National Convention selected Abraham Lincoln in May 1860 as their candidate for the 1860 election, some Republican newspaper editors noted that Lincoln was a moderate politician. 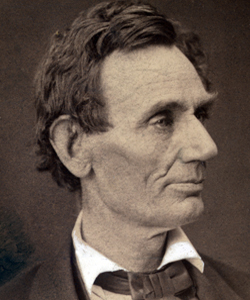 Lincoln opposed the further extension of slave territory, but he did not call for the end of slavery in the South. Yet some southern editors were quick to characterize him as a dangerous radical who would destroy slavery and the Union. 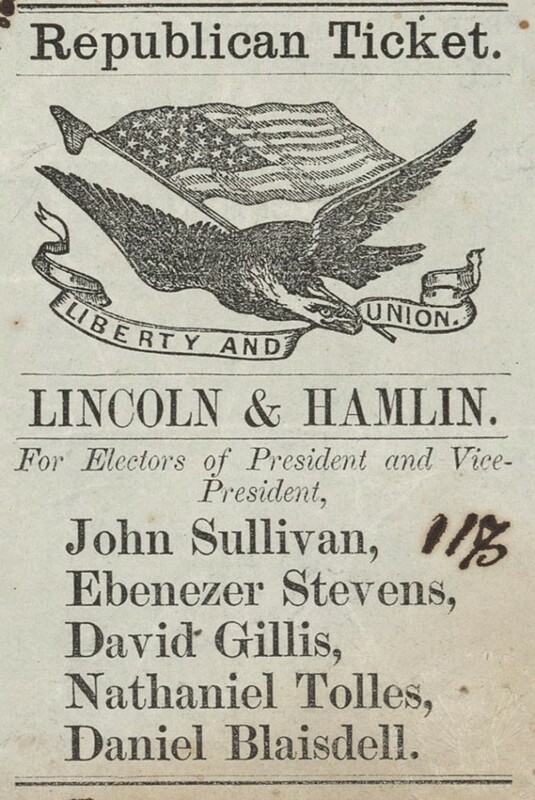 The Fayetteville (NC) Observer, which supported the Constitutional Union party, called Lincoln an “ultra abolitionist.” Republicans “[had]… selected [him] to split the Union,” as the Democratic Charleston (SC) Courier explained. Other editors focused on the threat from the Republican party’s “objects” rather than a specific candidate. 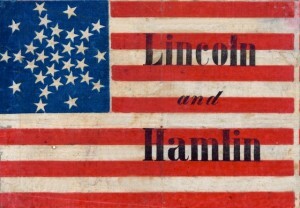 The (Jackson) Mississippian, a Democratic paper, observed that the “Black Republican’s” overall objective “[was] to degrade the southern States from their positions of equality in the Union and to destroy their social and political institutions.” One might assume that these editors would support secession after Lincoln’s victory. 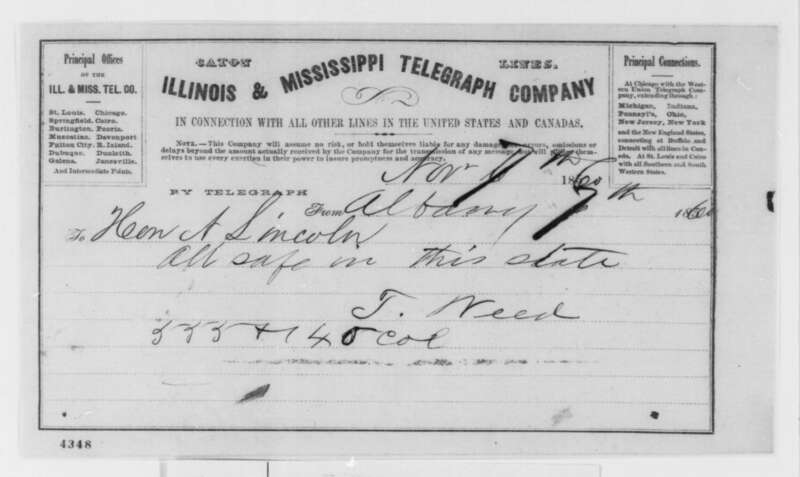 While that was true for the Charleston (SC) Courier and the The (Jackson) Mississippian, the Fayetteville (NC) Observer supported unionists until President Lincoln called for volunteers after Confederates attacked Fort Sumter in April 1861. 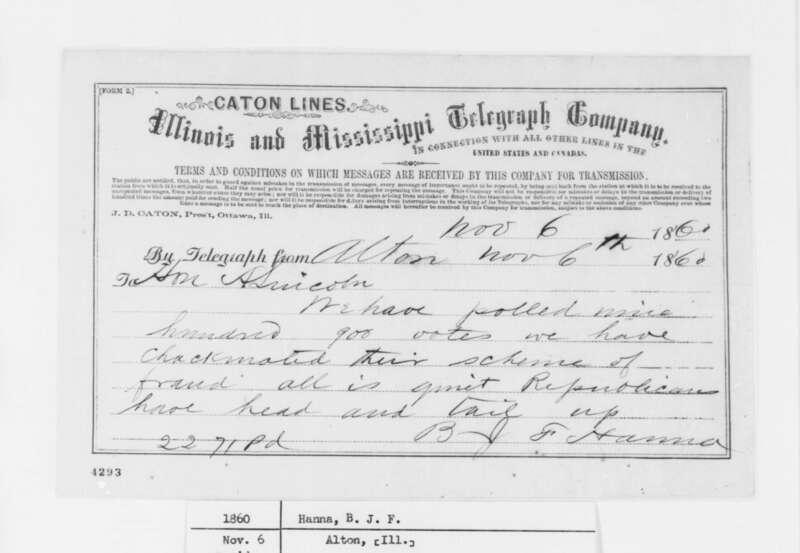 Ballots for the election of 1860 were not printed or approved by any government office or nonpartisan group. Instead, political parties were responsible for producing and distributing their own ballots for election day. As a result, voters had to be careful to ensure that they received a legitimate ballot. One only has to read some of the editorials published before election day to see that fraud was a serious concerns in some parts of the country. If a voter failed to closely examine their ballot, they could end up voting for a different party than they intended. The Raleigh (NC) Register, a Democratic newspaper, revealed one such “scheme:” “tickets [would have] the caption on them of Douglas and Johnson, but following that will be the Breckinridge and Lane electors.” Political operatives who became involved in these plans only had to find a printer who was willing to create the ballots. 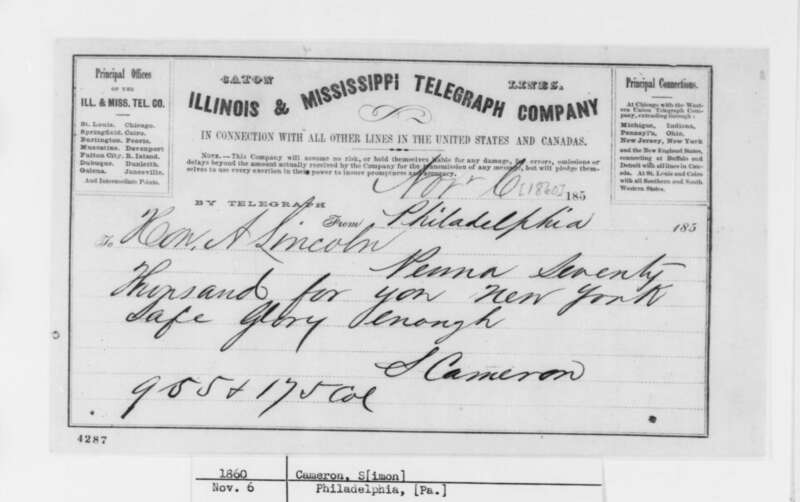 “Bribing engravers to engrave the Republican ticket, to violate their pledge of private and professional honor, and make a counterfeit of it, [was] one of their devices,” as the Republican Chicago (IL) Tribune explained. While “read[ing] your ballot before…deposit[ing] it in the box” remained important, one editor also noted that the best way for voters to avoid any problems was simply to not take a ballot from someone they did not know. “The only way to be entirely secure is to take no ballot except from one whom you know to be a regular republican distributor,” as the Boston (MA) Advertiser observed. 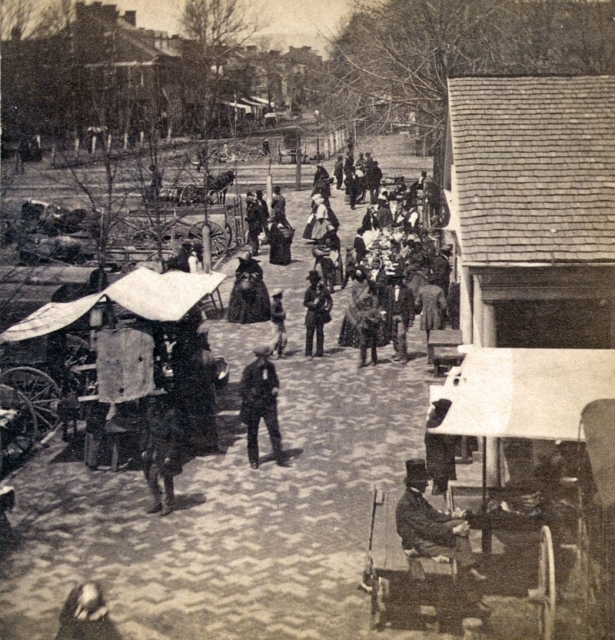 Dickinson College‘s 1860 commencement exercises occurred on Saturday evening, July 7, 1860. Two local papers’ contrasting reports on the evening demonstrate the partisan nature of nineteenth century newspapers. 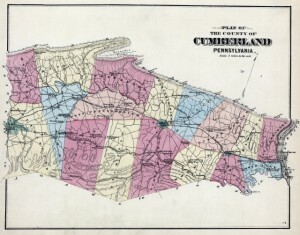 The Carlisle paper, The Herald, founded by Ekuries Beatty in 1799 originally supported the Whig party, but by 1860 printed articles with a strong Republican bias. 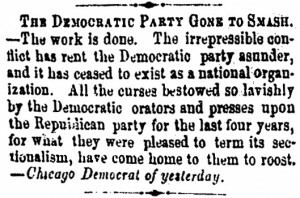 In contrast the American Volunteer (another Carlisle paper) founded by William B. and James Underwood in 1814, reported the Democrat Party’s view of the news. The Volunteer charged Dickinson’s commencement speakers with attacking the “vulnerable” democratic president James Buchanan, himself a Dickinson alum from “when the institution was worthy of the name of a college.” According to the Volunteer many of the commencement speeches were full of dangerous “Abolitionist preaching” which must “be stopped.” Mr. George A. Coffey, of Philadelphia, spoke at an alumni gathering on the Wednesday before commencement and particularly offended the writers of the Volunteer who labeled his speech as “fierce and outrageous.” While the Herald admitted that Mr. Coffey introduced “topics which were offensive to many in the audience,” the paper concluded “it was a masterly speech.” Overall, the Herald presented a very different picture of the commencement exercises, carefully listing the names of the student speakers followed by a brief, usually complimentary, analysis of their speeches. 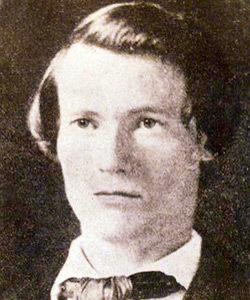 The two Carlisle papers’ distinctly partisan accounts of Dickinson’s 1860 commencement reflect the political spin of the press throughout the Civil War era. For modern scholarship on the subject of partisanship and the press see David T. Z. Minchin’s Just the Facts: How “Objectivity” Came to Define American Journalism (1998). 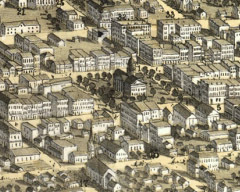 The Library of Congress also provides an online newspaper directory to find more information on newspapers from across the country.